Now, a serious spectrum scope is NOT a “privilege” of high-grade models. The high-resolution real-time spectrum scope comes loaded with the IC-7300. Its real-time spectrum scope with waterfall function provides top-level performance in resolution, sweep speed and dynamic range. *Number of dots shown at the 60 dB level, when receiving a single carrier. 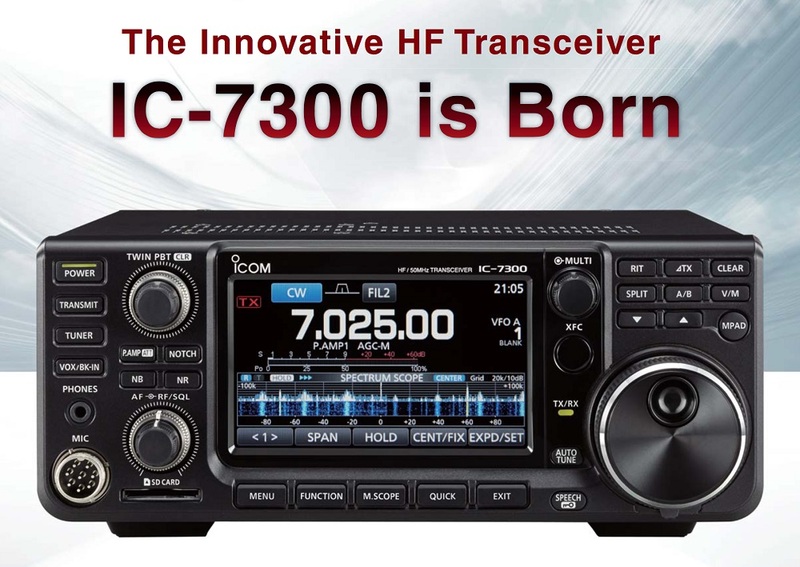 Instead of the conventional superheterodyne system, the IC-7300 utilizes the RF direct sampling system — a first in an amateur radio transceiver. 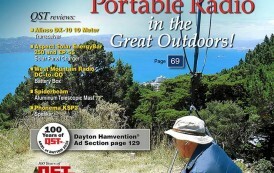 This technology is seen in Software Defined Radios and other radio equipment. 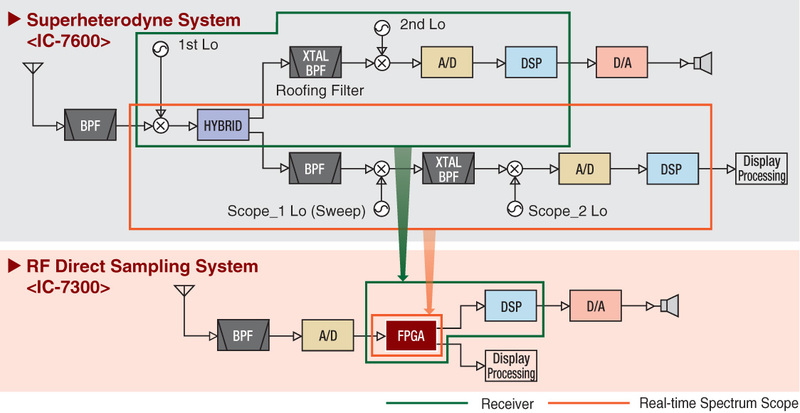 RF signals are mostly processed through the FPGA (Field-Programmable Gßate Array), making it possible to eliminate physical mixer and filter devices and offer a high performance real-time spectrum scope in a compact body.